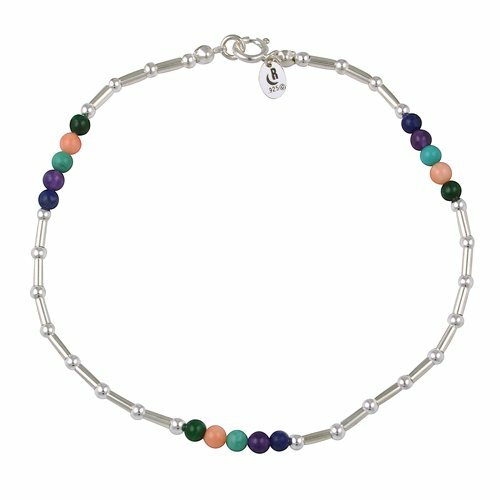 During the summer theres something refreshing about the feel of a cool sterling silver anklet against bare feet. 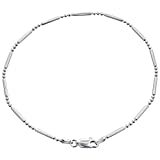 This sweetly delicate anklet has silver oval links that roll nicely over skin. Its especially fun at the beach for a walk on the boardwalk. 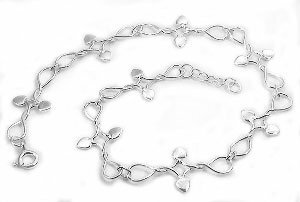 The small light-pink Swarovski crystal hearts twist and turn as you walk. 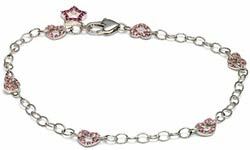 And just when you thought the anklet couldnt get any sweeter, a dangling star set with hot-pink crystals daintily graces the top of your foot. The star motif is important to Paris Hilton because her nickname as a little girl was "Star," and she created this piece so every starstruck girl could make it her own. Each piece in the Paris Hilton Collection includes a special certificate of authenticity autographed by Paris. 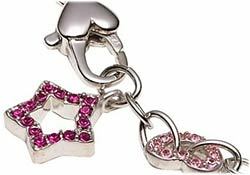 For those who need the details: the oval links of the chain are sterling silver, the hearts are set with light-pink Swarovski crystals, and the star is set in hot-pink crystals. In the 19th century, Daniel Swarovski invented a cutting machine and perfected the practice of cutting crystal. Today the Swarovski company makes crystal gemstones in an extensive range of shapes, sizes, and colors for jewelry and fashion design. 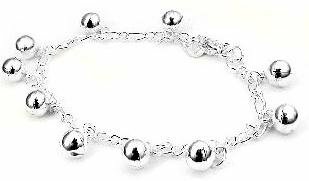 Each crystal glimmers in the light and is set securely in sterling silver. The hearts measure 1/4 inch high by 5/16 inches wide. The star is 3/8 inch in diameter. 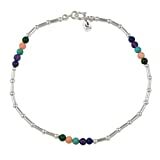 The anklet measures 10-5/8 inches and is secured with a silver lobster-claw clasp designed with a heart detail. 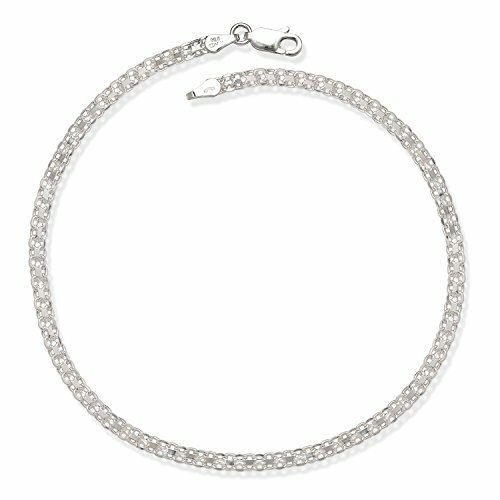 I am not a big fan of Paris Hilton--But when I saw this anklet I couldn't resist. 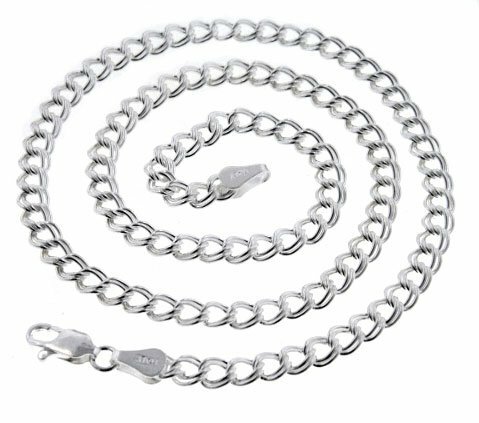 The price was a little steep for it...but thats what you get for something with the "Hilton" name attached :0< All in all it is very cute & I hope that she comes out with more anklets! 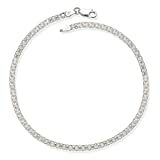 I admit I was dubious about paying $60 for this ankle bracelet, but it looked pretty so I took the chance.I didn't buy it for the Paris Hilton name, but because I liked the look of it. Unlike the other reviewers, I am not a child but in my mid-50's - so I was pleasantly surprised to see that this was well worth the money.It is really pretty, and surprisingly heavy.Really glad I bought it. i was tempted to buy this from the persuasive review and i"m glad i was. you can wear it with anything and it is totally gorgeous and flirty. as usual Paris has out done herself. 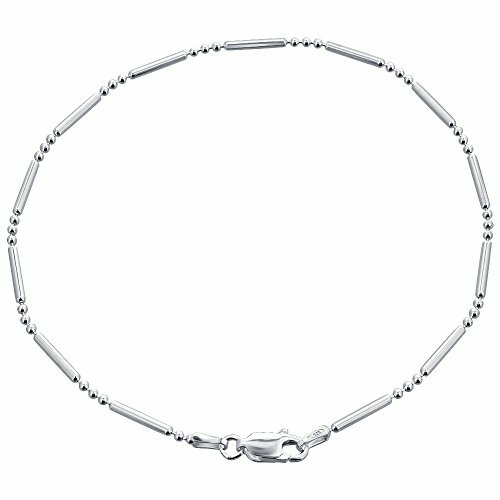 I love all of paris hilton's jewerly, i got this on my birthday! there just adoreable! I cant see how anygirl could hate this! I love the jewerly line Paris has created.I admire her hard work and dedication to all she does. The jewerly is beautiful. Thank you Paris, can't wait to see what you come out with next!